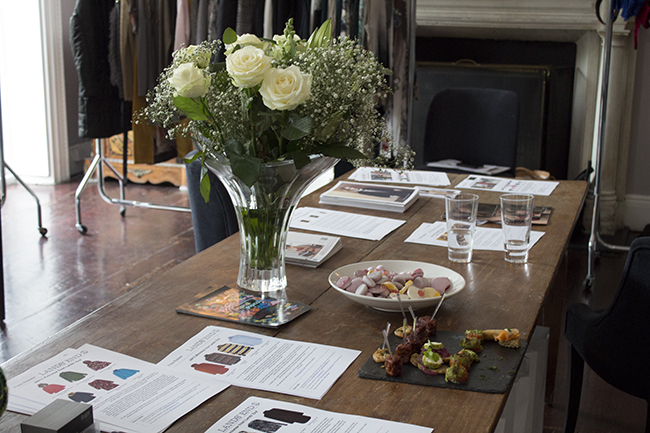 I was delighted to receive an invite to the Bright Light PR press day which took place on Wednesday. Bright Light laid out the upcoming season's collections for four luxury brands on the day, Landsend, Second Female, Olsen and Simone Péréle - all of which contained gorgeous must have pieces. Click the link below to find out more. 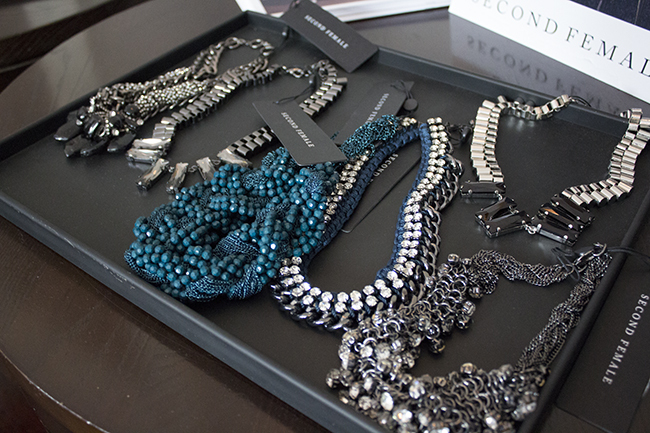 My tour of the collection started with Simone Péréle a luxury lingerie brand. This is a French brand and it certainly shows, all the bras and briefs ooze glamour, seduction and timeless style. Not to mention the amazing quality. The lace used is so well crafted, there's no chance of these pieces falling apart after a few wears. 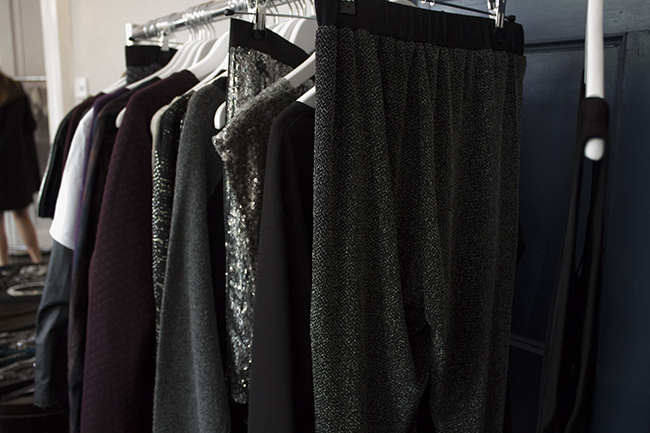 There's a wide range of colours and styles to suit all occasions, and of course women's tastes. I personally love the cobalt blue and vibrant red sets. These bras are actually from the 'Implicite' range, a collection with a lower price point which uses the same lace technology found in the more expensive bras and briefs. As you can see the attention to detail in these bras is stunning, they're stocked in Arnotts Department Store and I can safely say I'll be picking up some soon. Another brand on show was Olsen, who are undergoing a relaunch. Gone are the conservative pieces, and instead there is an abundance of mixed materials, leather and sharp tailoring. One thing which the brand have kept intact is their great quality fabrics and craftsmanship. 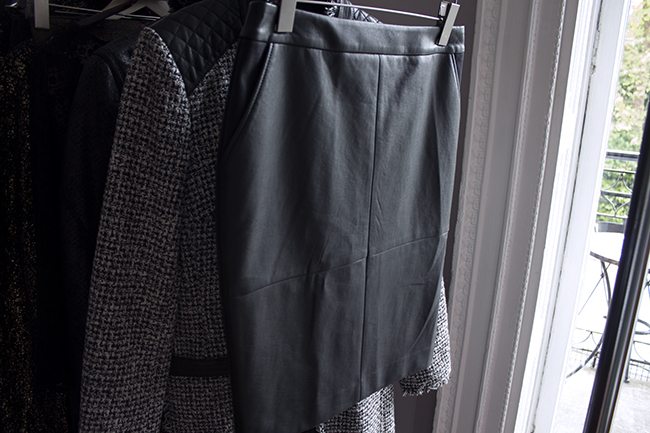 Two of my favourite items were this leather skirt and the tweed jacket behind it. They are definitely something I could see myself wearing in the coming Winter months. My favourite brand from the day had to be Second Female, a Scandinavian based label who's pieces scream effortless style and pared back chic. 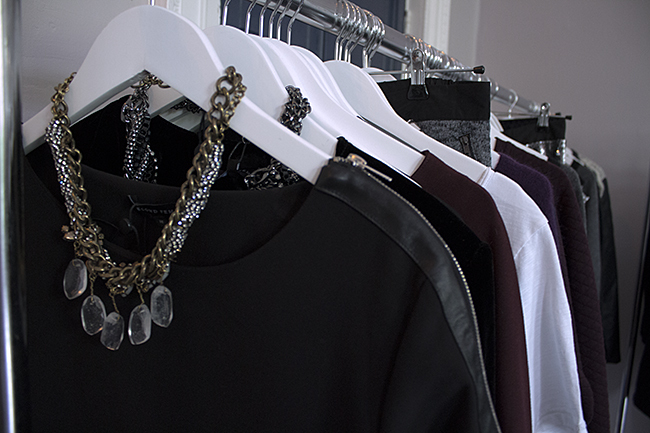 The brand's collections are similar to the minimal ones found at Zara and H&M. All of the clothes on display have wardrobe longevity, if you buy into the Second Female brand you can certainly expect to purchase a wardrobe staple. 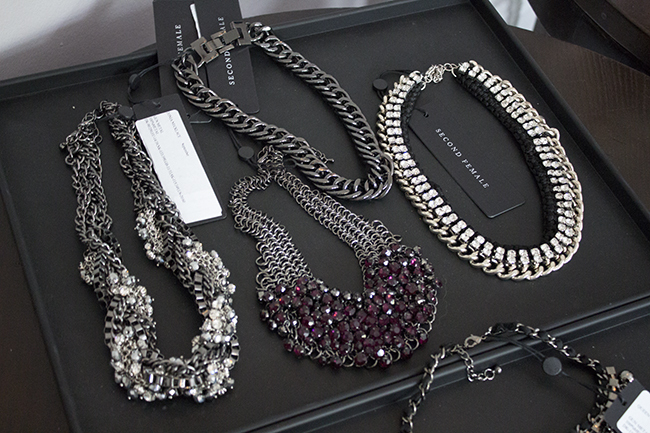 It's all about investment pieces ladies! 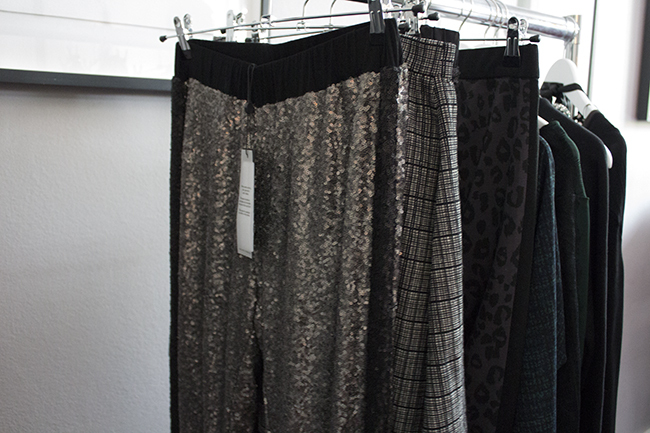 Glamorous fabrics used on low key pieces such as trousers make for versatile items, let them take you from night to day. 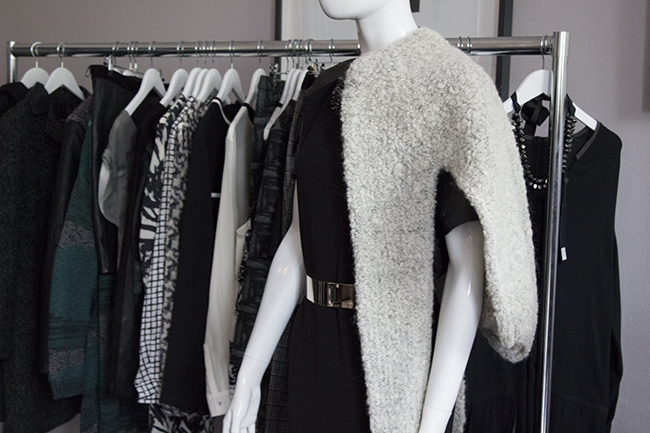 I love the wide range of fabrics used throughout the collection. Most pieces have mixed material detailing, which makes for an expensive finish. Even the 'basics' such as jumpers have subtle rips to add an 'edge'. 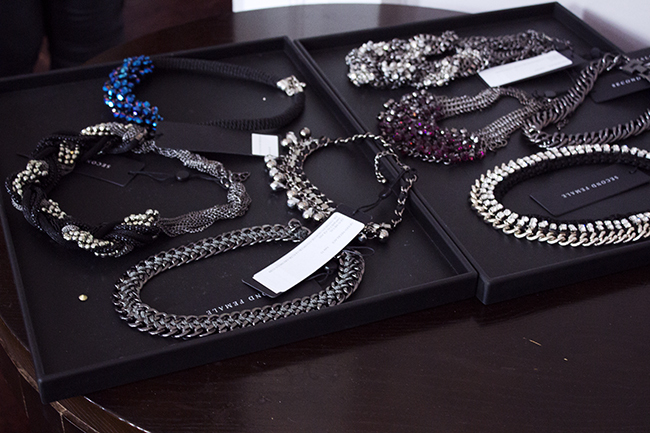 Second Female also have a beautiful range of jewellery which would give Zara's collection a run for its money. I couldn't get over the weight of each of the pieces, they are definitely high quality and comparable to the likes of Coast. 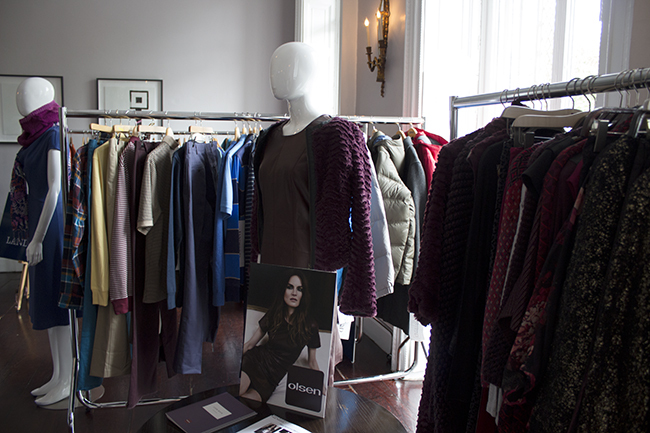 It was really great to get a preview of all the brand's upcoming A/W 13 collections, and I'd like to thank Bright Light PR for inviting me. 2 comments on "Bright Light PR Press Day"